I must have hit a different key combination as I just tried it again double checking as I pressed Ctrl+Alt+T and a new window as normal. As I might want to utilize this feature in the future, What key combination did I use? To open a tab in terminal press Ctrl+Shift+T key combination. Not the answer you're looking for? Browse other questions tagged 16.04 command-line shortcut-keys gnome-terminal or ask your own question. 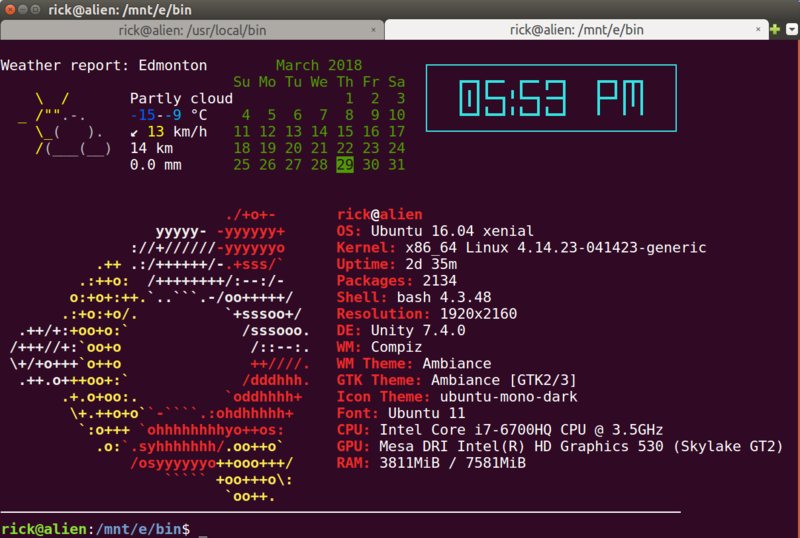 Terminal splash screen with Weather, Calendar, Time & Sysinfo? Windows Subsystem for Linux display Linux distribution? Editing with nano, Alt is caught by the window menus, how can I fix that? How do I get Ctrl+Left / Ctrl+Right to jump a word again in byobu? How to type key combinations instead of pressing them?